Hey Alexa, make me laugh! As Alexa squares off against Siri and Google Home in the competitive smart speaker market, the question of which one to buy usually comes down to one question: which one is funnier? Okay, perhaps comedy isn't the biggest selling point, but each of the intelligent voice assistants has its moments. When Siri started the whole talk-to-your-device trend, it became commonplace to look for funny things to ask. Alexa doesn't disappoint in this category. We'll start with some of the funniest answers to questions. We've already asked Siri where to bury a body and to divide one by zero, so what are some funny questions to ask Alexa? Alexa, are you a robot? You can also ask her what she scored on the Turing test, which is a test developed by Alan Turing to determine if an artificial intelligence is indistinguishable from a human. Alexa, how much do you weigh? Yes, she can wax philosophical. Alexa, where Is Chuck Norris? If there is a Turing test for a sense of humor, it has to be about Chuck Norris, right? Alexa, what is your favorite animal? Remember, it is important to get to know your A.I. Alexa, what is your favorite movie? And I highly suggest you watch it! Alexa, which phone is the best? It's funny to ask Siri and get a "You are kidding, right?" answer, but Alexa's response is better. Alexa, what are the three laws of robotics? You'll get the expected answer here, but it is still quite impressive. Alexa, up up down down left right left right b a start. This might belong in the Easter Egg section, but it also may be the funniest answer Alexa gives to a question or (in this case) a command. Alexa, can you beat box? Spoiler alert, she sounds a little nerdy. Alexa, can you rap? She's a better rapper than a beat boxer. Alexa, can you sing a song? She won't win a Grammy, but she actually has a few different songs she can sing. You can also simply say, "Alexa, sing a song." Alexa, can you sing Happy Birthday to me? You can also wish her a "Happy Birthday" and she'll sing to herself. Alexa, tell me a joke. You can keep repeating this one for different jokes. You can also ask her for a dirty joke and get the expected kid-friendly version of dirty jokes or say. "Alexa, knock knock." But don't give Alexa that command around your six-year-old unless you are a real fan of hearing knock-knock jokes all night. Alexa, what is pi? She can calculate more decimal points than most of us. 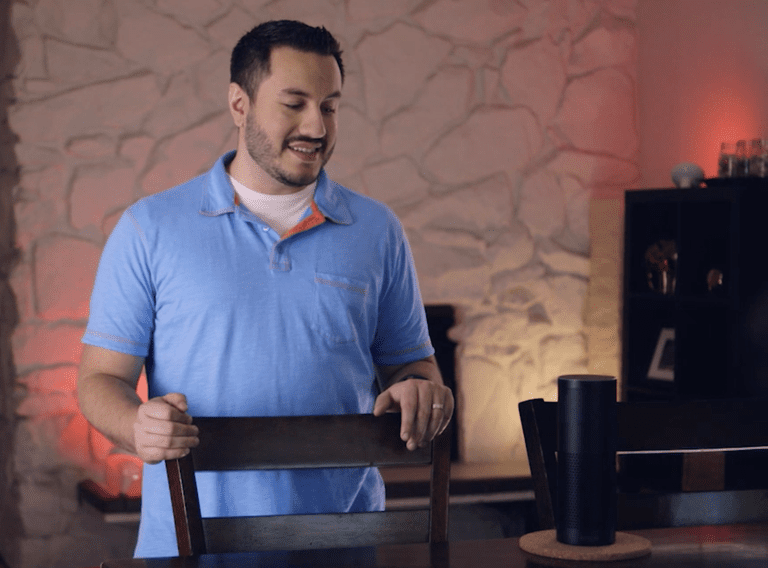 Alexa can you tell me a fact about... You can ask this one about dogs, cats, birds, etc. She has a number of facts stored about each of these, so you can keep asking. If you ask her to "tell me about dogs" instead of asking for a fact about dogs, she'll give you a Wikipedia-based answer. Alexa, play Jeopardy. This is where we get into some serious tricks. Alexa has a number of games she can play from Twenty Questions to Runescape. We won't give you spoilers with these because that's the fun of Easter Eggs, right? But we will say that Alexa knows her pop culture! Alexa, I want the truth. Alexa, what is the meaning of life? Alexa, winter is coming. She actually has several answers to this one, so keep asking! Alexa, more cowbell. This is another one with multiple answers. Alexa, I am your father. Alexa, open the pod bay doors. Alexa, who you gonna call? Alexa, what’s the first rule of fight club? Alexa, I like big butts. This is another one your six-year-old might repeat over and over, so beware! Alexa, Never gonna give you up. Alexa, How high can you count? Alexa, what do you dream about? Is Amazon's Alexa Getting Confused? Change Her Name! Ever Wanted to Make Siri Mad? Just Ask These Questions!